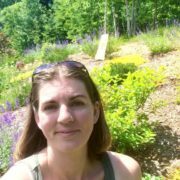 I grew up exploring the parks, lake shore, and green spaces of Duluth and learning to ski on the ski trails of Hartley Park. I earned a BA in Social Studies Education and a MN teaching license for K-6 elementary and 5-8 social studies from St. Olaf College in Northfield, MN. After college I lived in the country of Finland for three years where I taught preschool for 3-7 year old Finnish and international children and explored the Finnish woods with my husband, Matti. 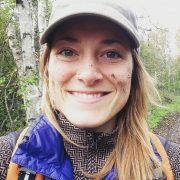 I returned to MN and completed a naturalist training program at Wolf Ridge ELC and earned a Master’s Degree in Environmental Education from UMD. I love to be active outside in all seasons with my twin boys, to cook and bake as motherhood allows, to watch and read Nordic crime series, and to eat chocolate! And, I love to be outside in Hartley Park with our preschoolers exploring, playing, and learning. 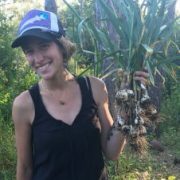 Growing up in South Dakota, I always enjoyed being outdoors and exploring my surrounding environment, which is why I chose to study biology as an undergraduate in Minnesota. After college, I began to pursue outdoor education, which sparked my interest and passion for teaching children and engaging them with nature. 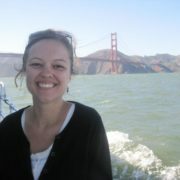 In December 2011, I earned my M.Ed. 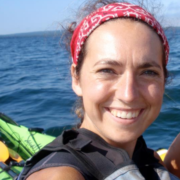 and K-6 teaching license, with a focus in environmental education, from Antioch University New England. After receiving my degree, I worked for a Nature Explore Classroom in Cape Cod, Massachusetts. After living in New England for several years, I began to really miss the Midwest, so my husband and I decided to move to Duluth! I have loved being here and working as a teacher at Hartley Nature Preschool. When I’m not taking children out into the woods of Hartley, I enjoy snuggling with my daughter, hiking, camping, cooking, and eating ice cream! As a native to Duluth, I spent my childhood enjoying the lake at my cabin and exploring the woods surrounding my house. I have always felt a sense of peace when surrounded by nature and I love to share that with my family now. My husband and our 2 daughters love to hike the many trails in town and enjoy being outside whenever we can. I have always loved working with young children and found my calling when I decided to study at WITC in their early childhood program. I am one who believes you should never stop learning and pursued a bachelor’s degree in Child Development from Concordia University a few years after graduating from WITC. I also completed a second Bachelor’s program in Unified Early Childhood Studies from UMD. Between schools I have taught in various settings around the area and worked with students from 6 weeks to 6 years. In my off time I like to read, take pictures and go geocaching with my family. I joined the Hartley team in 2016. I am a native to Southeast Minnesota and I, like many others, fostered a love for interacting with nature at a very young age. My childhood mirrors the experience of taking positive risk and adventure play in the outdoors, offered here at Hartley. In 2013, I graduated from the University of Mankato with a masters in Experiential Education and Sports Psychology. My work with a variety of ages as an outdoor educator led me down a path of forever wanting to work with children in a nature play setting. When I am not at Hartley, I can be found behind a vice tying flies for a local fly shop, pursuing fish with a fly rod, mountain biking, and wild foraging. I grew up in Southwestern Minnesota enjoying spending as much time as possible in the water and canoeing on the Minnesota River. 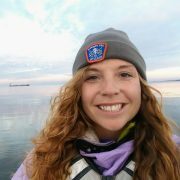 Moving to Duluth allowed me to explore and learn about the natural world and led me to pursue a career in teaching. I earned a degree in Outdoor Education from UMD and recently became licensed in Elementary Education. I am excited and honored to be a part of the Hartley Preschool team! This is going to be a fantastic year! I have always loved exploring the natural world and learning as much as I can about it! It wasn’t until I attended the University of Minnesota Duluth that I realized how much I enjoy teaching about our natural world and introducing children to its many wonders, which is why I obtained a degree in Outdoor Education. Before joining the Hartley Preschool family, I worked at Wolf Ridge ELC, Deep Portage Learning Center, and Aspen Center for Environmental Studies. Currently, I am working towards my K-6 Teaching License and Masters of Education at the College of St. Scholastica. When I am not at Hartley or studying you can find me exploring the woods with my husband and our dogs, mountain biking, cross country skiing, and creating things in the kitchen. As a native Minnesotan, I’ve spent much of my life enjoying and exploring ‘The Land of 10,000 Lakes’. 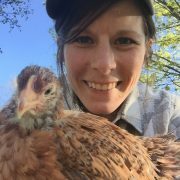 I have a degree in Fisheries and Wildlife Management and just recently earned my teaching license in Elementary Education. My husband and I are expecting our first child (a girl) in September! I love bird watching, agate picking, hiking, cycling, climbing, camping, cooking, hangin’ with my chickens, and jammin’ on my ukulele. I could not be happier at Hartley and I look forward to creating many great memories with your children!